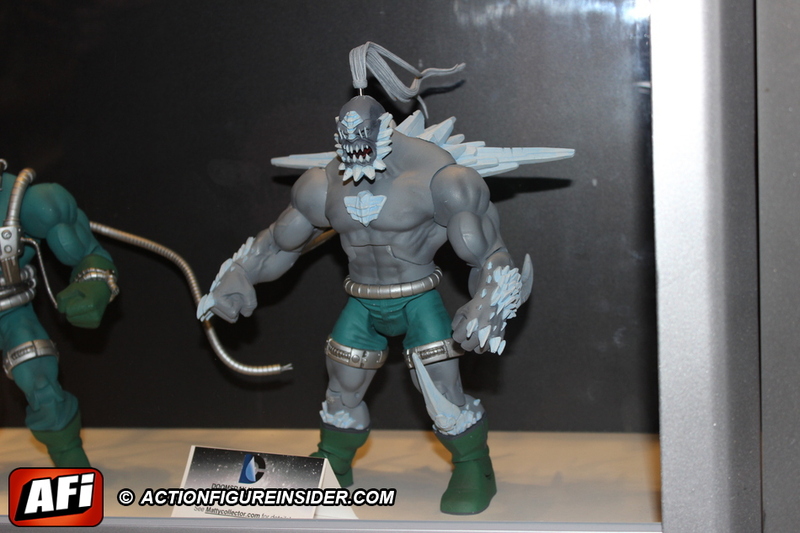 Action Figure Insider » DOOMSDAY CAN’T BE STOPPED! UNLEASHED Coming to DCUC! We didn’t think it would happen, we were TOLD it wouldn’t happen. Most of us had given up hope of it every happening. We were told not to want it or expect it. The DCUC line was DEAD. Over. 2 more quarterly figures, the Super Powers stuff and then lights out. Over, everyone head home, nothing to see here. But, behind the scenes Scott and the MattyCollector team was still working on a “hail mary” pass. One last figure for the 6″ DCUC fans the tier 2 Club Infinite Earths 2014 oversized figure… DOOMSDAY Unleashed! There was a glimmer of hope earlier this week when an image of what looked to be a boxed sample surfaced and was passed around the internet, but even then the figure had still not been greenlit by the powers that be. It was still said this was a proposal mock-up that was presented to the licensors. Once again… hopes were dashed. Such a pity they never got around to the DP Chief/ Dr. Will Magnus two pack I first proposed shortly after the Orion/Lightray set debuted. Or the CaC Anton Arcane I’ve hankered after since wave proved they might build them bigger. Or the Giants of Justice Mongul they should have made instead of a 12 inch Killer Croc. No yellow uniformed NTT Wally West or Speedy, either. So may lame figures in the final laps, and this one is another buttercream rose plucked off the DCUC cake’s icing – another waste of plastic no one really wants. For every great figure, so may missteps and lost opportunities. The gaps on my shelf make me sad. “Another waste of plastic no one really wants?” Speak for yourself. A LOT of fans have been asking for this figure since the line was rebranded as DC Universe Classics. 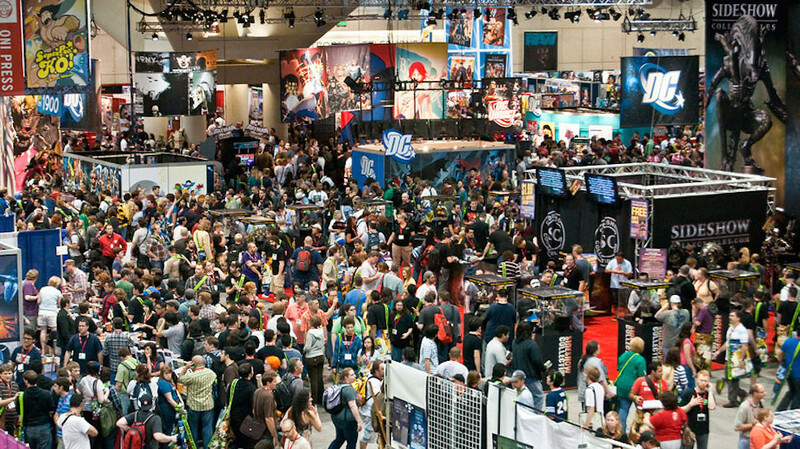 And the anticipation level was tripled once it was shown at SDCC last year. I get that this might not be your bag, but it’s not like they are making Prez or Black Racer. I would soooooo buy a Black Racer…and I’m buying the dingdong outta this! Maybe he means mattel only re-release doomsday (albeit bigger size than dcsh (like darkseid dcsh – cnc)) than releasing new character. I’m more excited the variant since naked doomsday already released in dcsh & dc direct. Kudos to TG and Mattel for this. Gotta give credit when it’s due. But hey, Black Racer would be cool… albeit a lame closer. Excellent. I’m not sure if I will buy it or not (at this point I may no longer own any DCUC figures), but it’s pretty cool looking. I’m not sure I’ll drop 50 bucks on it (if it ends up being in that range) but I’m glad they are doing this. Thank you Mattel. I accept. 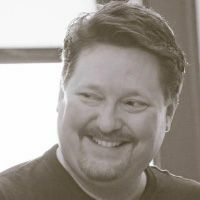 Will it be available enough that the “not enough” buyers will have the opportunity to buy this step up from the subscription line that we couldn’t stand behind. Don’t mean to be blunt but I’ve been drinking. Only a side note… when I’ve been drinking… I speak from the bottom of my heart. I hope you can understand Daniel. eh… I dunno. it kinda shows that they had full intentions of producing the 2 side by side, which should have never been otherwise. So the subs didnt sell, so they hung tier 2 on THIS guy and still somehow they didn’t stack enough sales so we could reach into the cookie jar. I think it was a crap marketing ploy to create subscriptions in the first place. It doesn’t work for fans, it works for the manufacturer. I mean the SDCC figure is just as fully produced as this one is, You can’t say this isn’t just a necessary offloading of product they fully intended to produce and now find themselves at a huge loss because their street bait marketing tactics turned on them no matter the hype . I just wish that Mattel would have based less of their strategy on how to get us hooked, and more on how to keep us as customers… which they’re now hurting for in the DC Realm. I’m not a smart ma’an but I know what loyalty is. pus this way dc collectors were spared having to try and get a whole wave for if dc classics had lasted doomsday would have gone the baf route. instead mattel deserves some thanks for they did not have to try one last time for the doomsday for fans. What about miss martian? When will she gets released? Seriously. 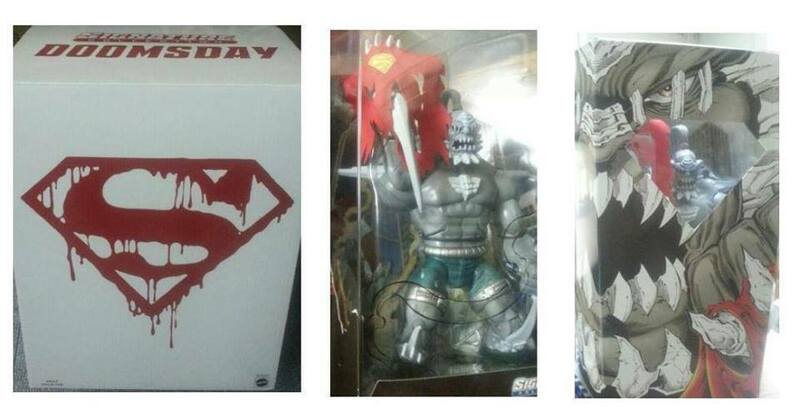 I already have a more size accurate Doomsday in the form of a DC SuperHeroes figure. What I DON’T have is Miss Martian. While I’m grateful that the unleashed Doomsday will finally be released, sadly had Mattel assured fans & collectors of this when the last subscription was offered and had they simply listened to what collectors asked for in terms of character selection and announced a full subscription roster, then perhaps they could have saved the line. This line was DC’s equivalent to Marvel Legends and Mattel bungled it. It is quite telling how Hasbro is able to continue Marvel Legends while releasing a variety of A, B, C and D-List characters, at retail no less, yet Mattel couldn’t even commit to invest in DCUC even via a direct subscription. So many fan favorite characters and team completers left undone – just a damn shame. So I’ll dream that someday in the future Mattel realizes that the line should be revived or that another company decides to do it and get those Four Horsemen molds and new sculpts back into production. You do have to wonder though what proprietary rights the 4H have to their articulation/sculpts as Mattel and 4H part ways on the DC project. They are producing their own figures for Powerlords using basically a down-scaled buck and head for their Adam Power and similar builds on their other lines. I wonder if DCUC coming to a close wasn’t in sight of the fact that 4H can take their work anywhere they want if no lessons were learned when MOTU-Y2K saw re-release with NECA? Now. Its easy to sound negative in a world where collectors are hooked and dragged through the parallel universes of hopes & expectations vs tropes & limitations, but this figure does finally make my toy shelf complete in a way that the repainted C&C Kalibak never will. Im fine with this being produced. But to me it is not a “reward” to the fans– its just another figure that was going to be produced no matter what– and then trying to use scare tactics to make us buy it, and when we don’t fall for it– they insult us and then produce it later anyway (at an increased markup- because they “have to” ) – as a favor.